Join us for some great food! Each year the Crawford County Historical Society holds a fundraiser during JugFest in order to finance maintenance, restoration and renovations on the Old Courthouse. Please help support the Old Courthouse preservation. 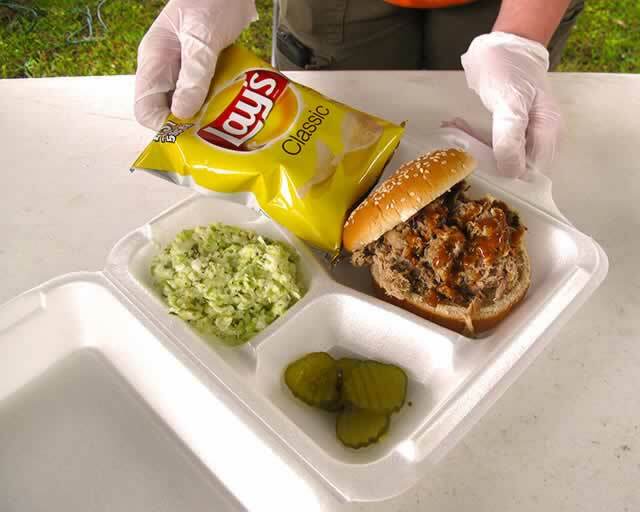 Plates cost $7.00 and will have a Pulled BBQ pork sandwich, chips, cole slaw, pickle, and tea (sweet or un-sweet).